Grouse, Partridge and Open Skies, takes Craig Kulchak and his English setters across vast sage plains and remote fields of tundra in search of Sage grouse, Willow ptarmigan, Chukar and Hungarian Partridge. 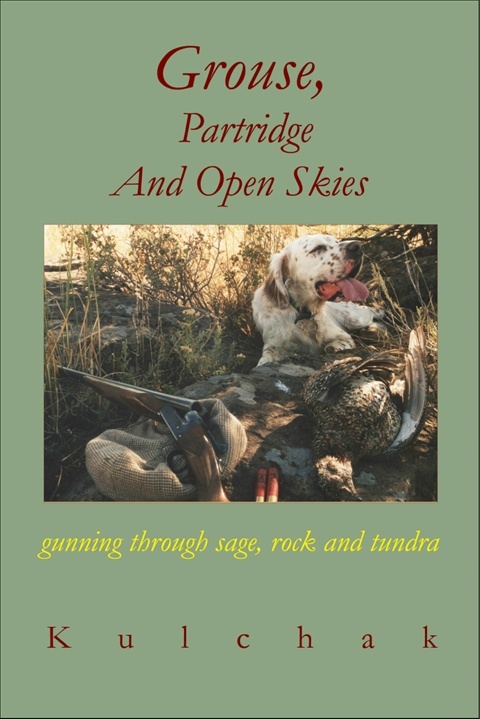 Treading in the footsteps of Lewis and Clark, his English setters - Anneca, Beth, Briar and Bramble - hunt across the traditional range of the Sage grouse, through three decades. Wide open sage and “Big Sky” lend to the solitude of this, the largest grouse of North America, where its limited take is the rule, not the exception. Sprinkled about are Chukar and Hungarian partridge, to spice things up along the way! In contrast, farther to the north, the Willow ptarmigan is far from losing its foothold on its traditional habitat. From the remote reaches of the Alaskan peninsula, to above the arctic circle, Craig, his father Ron, son Matt, and October Briar, travel by plane and motor home to hunt Willow ptarmigan. And to add to the excitement, combine wing shooting with salmon and Arctic grayling fishing on a fly. Glaciers, and backdrops of the Brooks Range and Mt. McKinley add for a dramatic setting! It is truly an adventure and exploration like no other. Chukar and Sage grouse habitat over lap and during the early season, male Sage grouse tend to keep to themselves, high on ridges and rock outcroppings. There are several areas that are gunned with just this combination that makes for exciting work with Craig’s setters, never sure what may flush from a solid point! Idaho Sage grouse, and these grouse in every other state, are on the decline. Over grazing, wild fires and general loss of habitat are key factors in the drop in populations. Unfortunately their future is still a question mark. In contrast, the Willow ptarmigan is thriving as the state bird of Alaska. Each of these grouse hunts are made better with a fine English setter!